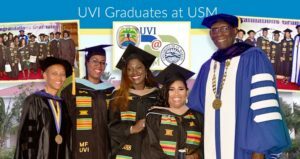 Graduates of the University of the Virgin Islands at the University of St. Martin with Dr. David Hall, president of UVI. 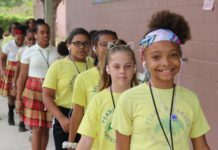 Thirty-three students graduated from the University of the Virgin Islands (UVI) at the University of St. Martin (USM) on Aug. 18, at the Belair Community Center on St. Maarten (St. Martin). 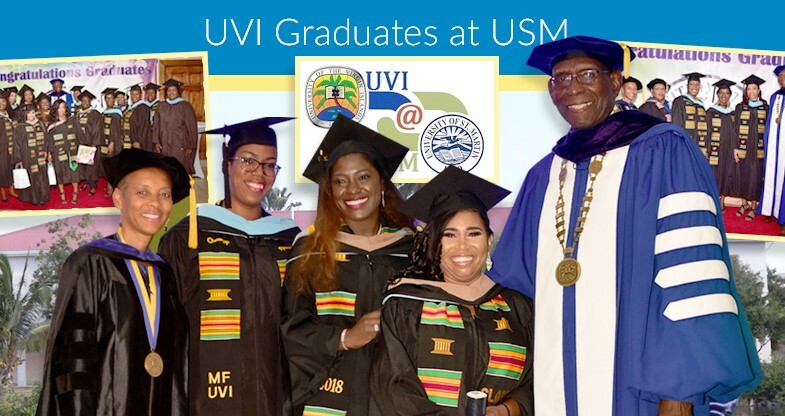 The UVI at USM class is the first cohort of students to have completed respective degrees under a Memorandum of Understanding (MOU) with USM. Through the MOU, students from St. Maarten are able to study at UVI without having to leave the island. 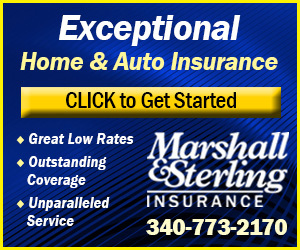 The successful students completed undergraduate and graduate degrees in education and business administration. David Hall Ph.D., UVI president, thanked the students for their tenacity and resilience, and challenged the students to use their degrees to make a difference in their community and world. Antonio Carmona– Bàez Ph.D., president of USM, recognized the students for their ability to overcome climatic, economic and institutional adversities.